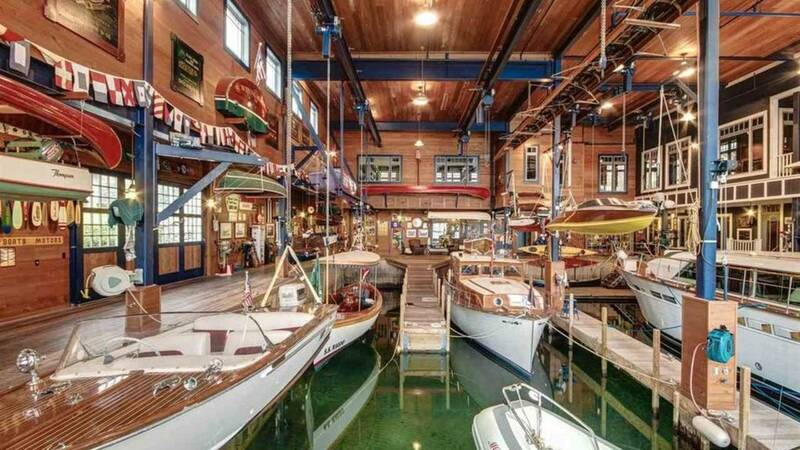 If you're looking for a home with its own boathouse, this is the place for you. A massive estate in Charlevoix has hit the market for a whopping $6,800,000. 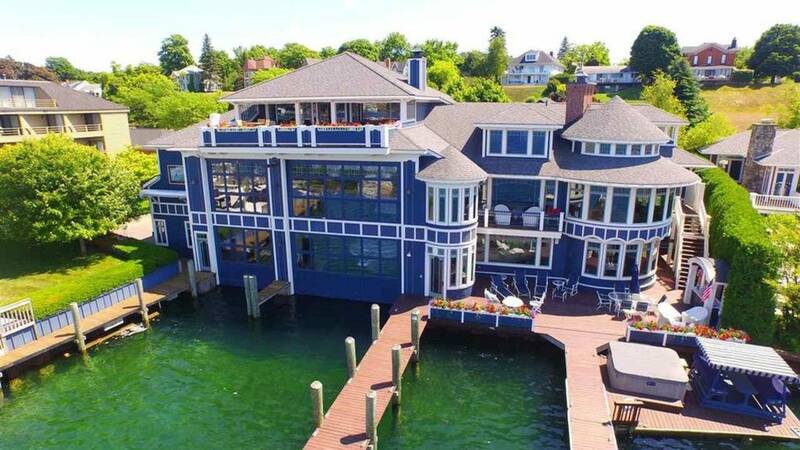 The three story home features five bedrooms, a nanny suite, seven full bathrooms, four half bathrooms and a boathouse with room for multiple large boats. The home is laced with rich mahogany throughout where you'll find warm and inviting living spaces including large living room with curved windows overlooking the lake and a sunken bar overlooking the boathouse. The boathouse is surrounded in cypress finishes and has captivating large ceilings with 22 electrical hoists, pump-out, adjustable docks, workshop, air compressors and freshwater hoses all captured buy underwater lighting. 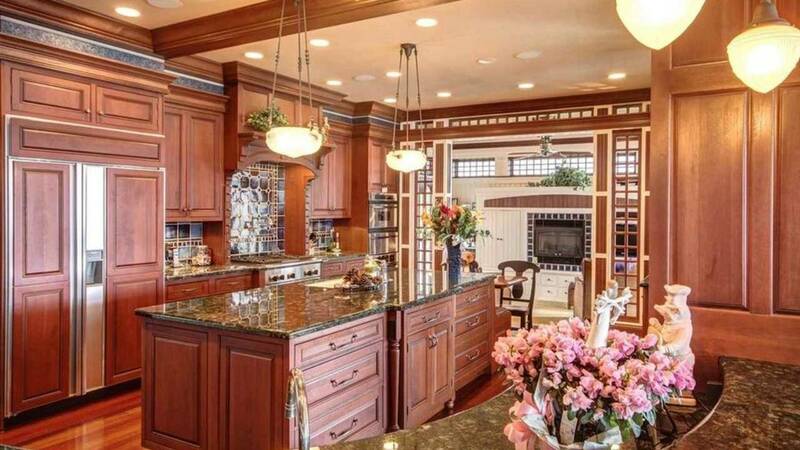 A sophisticated kitchen area opens up into an intimate dining area and Great room with a two-sided cozy fireplace. The third floor chart room is the place that guests can gather and be entertained. 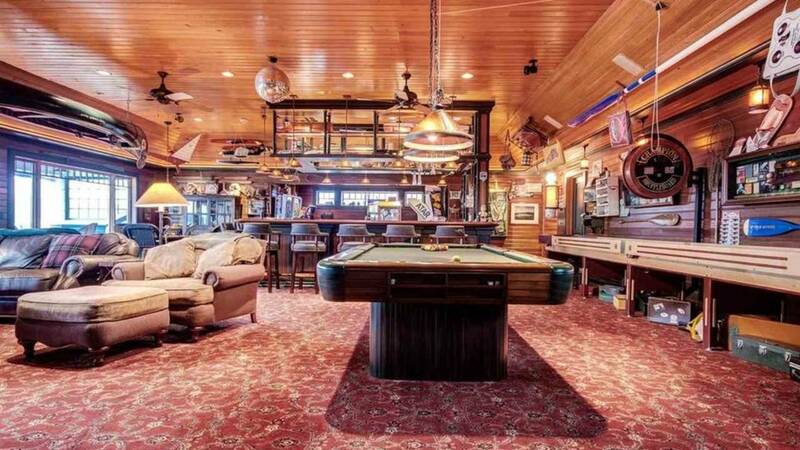 It's centered by a U-shaped bar and features a professional length shuffle-board table, antique bowling machine, and many other pinball and electronic games. 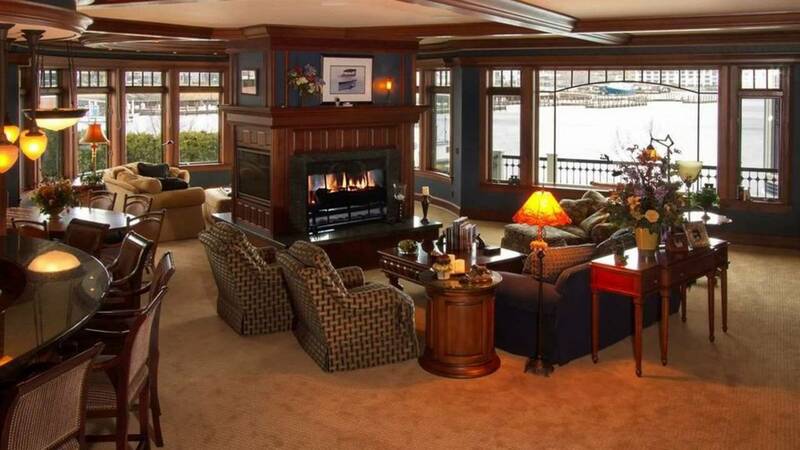 The room is complete with a seating area with fireplace and outdoor private deck overlooking the lake. 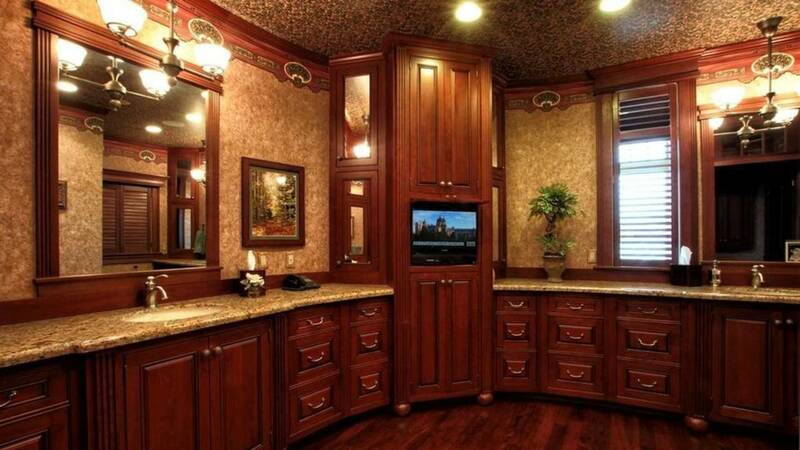 The sinks, dual shower with steam, large walk-in closet with washer and dryer and can be accessed from the boathouse. There are two guest suites and all bedrooms have their own private baths.